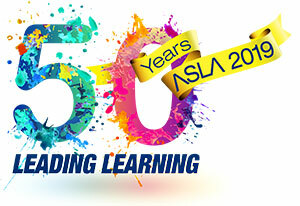 The Australian School Library Association Inc. (ASLA) and Pledger Consulting Pty Ltd (LinksPlus/Weblinks) have pleasure in announcing the winner of the 2010 Australian Teacher Librarian of the Year Award – Janice Wilson from Lake Tuggeranong College, Greenway, Australian Capital Territory. The Australian Teacher Librarian of the Year 2010 is awarded to a teacher librarian who demonstrates a high level of achievement in each of these three components of their role and thus provides a library and information service that improves student learning. The 2010 Australian Teacher Librarian of the Year, Janice Wilson, a member of ASLA ACT, manages a diverse library service at Lake Tuggeranong College, Greenway, ACT. The college is situated 20 km south of Canberra City. Opened in 1990, Lake Tuggeranong College is a senior secondary college providing high quality year 11/12 experiences. The college serves a community of approximately 1000 students and staff. The library is designed and managed as a joint-use facility in partnership with the ACT Public Library Service. It caters for the educational and informational needs of college students and staff and for the general community. “Ms Wilson’s professional knowledge as a teacher librarian, her professional practice and her commitment to her role are outstanding”. The award was presented to Janice by Paul Pledger.